State Sen. Gil Kahele died early Jan. 26, 2016, after a short illness caused him to miss the Legislature’s opening day last week. He was 73. The news was announced Tuesday morning by Senate President Ron Kouchi, who interrupted a hearing on the Senate floor and led for a moment of silence. Kahele was hospitalized last week on Oahu for undisclosed health issued. He passed away at 7:55 a.m. Tuesday, Jan. 26, 2015 surrounded by family at The Queens Medical Center. Born May 15, 1942, in Milolii, South Kona, Kahele graduated from Hilo High School where he played football. Born to Peter and Rebecca Kahele, both of Hawaiian descent, he was the third-born behind brothers Ronald and Peter and would be the older brother to Leighton, Mona, and Corrine. He served in the U.S. Marine Corps for four years in the engineering troop responsible for refrigeration. Following his military service, Kahele graduated with an Associate Degree in Science in 1967 from Laney College in Oakland, Calif. In 2011, former Gov. Neil Abercrombie appointed Kahele as senator for the district that, at the time, included portions of Hilo, Puna and Ka‘u. He replaced Russell Kokubun, who resigned his seat to become a member of Abercrombie’s cabinet. Following reapportionment, Kahele was elected in 2012 to represent District 1, which includes all of Hilo. 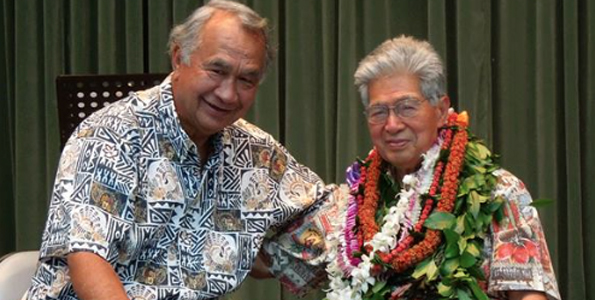 At the time of his death, Kahele was serving as chairman of the Senate Committee on Tourism and International Affairs and vice chairman of Higher Education and the Arts Committee. He was also a member of the Senate committees on Judiciary and Labor Education. According to a press release from the star Senate, Kahele was a visionary and proponent for strengthening Hilo’s economy, seeking ways to help create jobs and business in his district. Among his many accomplishments, Kahele was instrumental in bringing much needed funding to build the Daniel K. Inouye College of Pharmacy at the University of Hawaii at Hilo. He also was a staunch supporter behind the creation a world-class School of Aviation at the underutilized Hilo Airport and the University of Hawaii at Hilo. He previously worked for the state Department of Defense and at Pohakuloa Training Area. Kahele married United Airlines stewardess Linda Haggberg in 1971, and the couple had two children, Kai and Noelani. He also served as chairman of the county Police Commission from 1988-1992 and was the Democratic Party vice chairman for East Hawaii. Kahele attended the 2012 Democratic National Convention as a delegate. “Gil Kahele served Hawaii and our country with distinction for more than 50 years, first in the U.S. Marine Corps, then as a community advocate and in elected office. I will remember Gil for his kindness and tireless work on behalf of the people of Hawaii Island and our state. 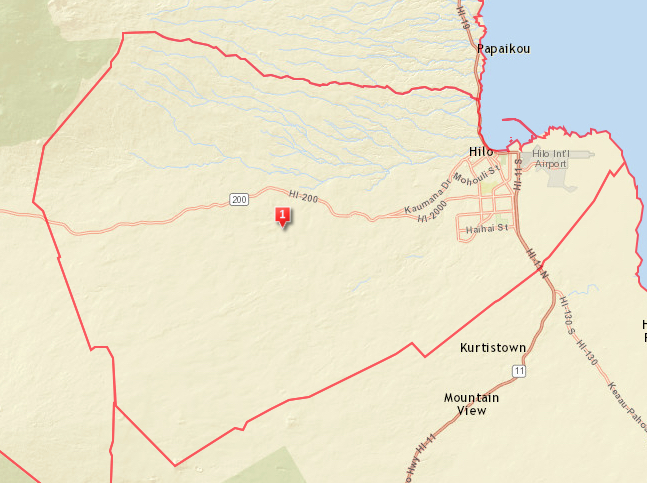 Gil’s steadfast advocacy on behalf of individuals and families ensured that the resources were available to address community needs for Tropical Storm Iselle and the Puna lava flow. My thoughts and prayers are with Gil’s wife Linda and the entire Kahele ohana. Gil Kahele was one of the kindest, most decent, most caring public servants that I have ever known. His heart for the people of his community made him an effective leader, community organizer, and Senator. He was so kind to me and to everyone whom he touched. This is a sad day and he will be missed. Today we lost a dedicated servant of the people. Sen. Gil Kahele was born in Milolii in South Kona, graduated from Hilo High School and selflessly served our country as a U.S. Marine. He went on to work for 33 years for the Department of Defense, finishing his service at Pohakuloa Training Area. Five years ago, he answered the governor’s call to serve the people of Hawaii Island by representing them in the State Senate. He has always been known as a strong advocate for the people of Hawaii Island, serving as their voice in the Hawaii State Capitol, especially through times of challenge and hardship. I saw him recently in Washington, D.C., where as always, he was ready with a smile, a hug, warm aloha, and a picture to post on his Facebook page. My heart is with the Kahele ohana, and all of Hawaii Island. Gil, you are missed. It is with much sadness that I learned of Sen. Kahele’s passing. He was a dedicated public servant who spent the last few years working for the good of his beloved community at the Hawaii State Legislature. He was a respected and influential leader both in the legislature and in his hometown community of Hilo. My deepest condolences to his ohana, friends and supporters during this difficult time. I am deeply saddened to learn today of the passing of my dear friend, Sen. Gilbert Kahele. Gil was a warm and caring man with the highest principles and values, who had the unique ability to always make you feel welcomed and at ease. I was honored to have served as his colleague in the Senate and to have continued our friendship thereafter. I will miss his kindness, positive outlook, and ability to make me laugh. “The Hilo community and the State of Hawaii today has lost a great Senator, a gentleman, and passionate advocate who cared deeply about public service and the people he represented. I am honored to have served with him and I know his fellow colleagues in the Senate feel the same. Sen. Kahele’s family thanks the public for their words of support and aloha and respectfully asks for privacy at this difficult time. Sen. Kahele’s staff will be in the office to handle the concerns and issues of the district. His Tourism and International Affairs committee will be handled by the Vice Chair, Sen. J. Kalani English. I send heartfelt condolences to the Kahele family as we mourn the loss of this remarkable man. It is with great sadness that we, in the House, learned about State Sen. Gil Kahele. His contributions as a native Hawaiian, a Big Island resident and public servant to the entire state will be greatly missed. We mourn his passing and extend our thoughts and prayers to his family. All of Hawaii Island and the state of Hawaii have lost a wonderful individual and public servant, Sen. Kahele. Thoughts and prayers go out to his family and to all who felt Gil was a part of their family. He will be deeply missed. The House Minority Caucus is saddened by the loss of Sen. Gilbert Kahele today. As a Marine and a legislator, he spent his life as a devoted public servant. We missed him on Opening Day last week, and will continue to miss him in the days ahead. Our thoughts and prayers are with his family and friends during this difficult time. On behalf of the Judiciary, I extend our sincere thoughts and condolences to Sen. Kahele’s family. Sen. Kahele was a warm and caring person, and an outstanding legislator. He was a strong supporter of constructing a new courthouse in Kona. 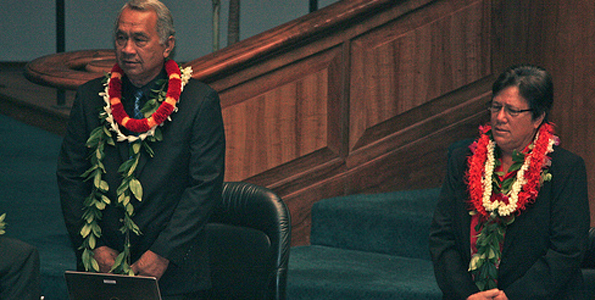 We thank Sen. Kahele for his distinguished service to the people of Hawaii.